While walking along Chinatown, it seems a little discouraging as most of the shops were closed for Public Holidays while I'm expecting crowd and atmosphere from the town. Finally, we spotted something encouraging after a long walk under the hot sun. Yeah, its what I'm looking forward to most throughout the trip, Bird Nest! 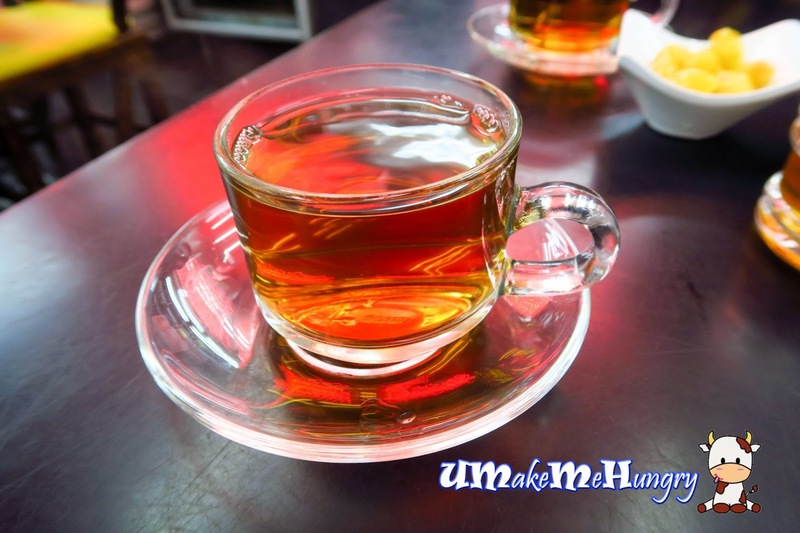 This shop has a fair bit of its reputation online since it is specialized in both Bird's Nest as well as shark fin and they are highly recommended if you need your dosage of Bird's Nest. Without much hesitation we walked closer as my attention was all focusing on the shiny metal pots which contained Bird Nest. 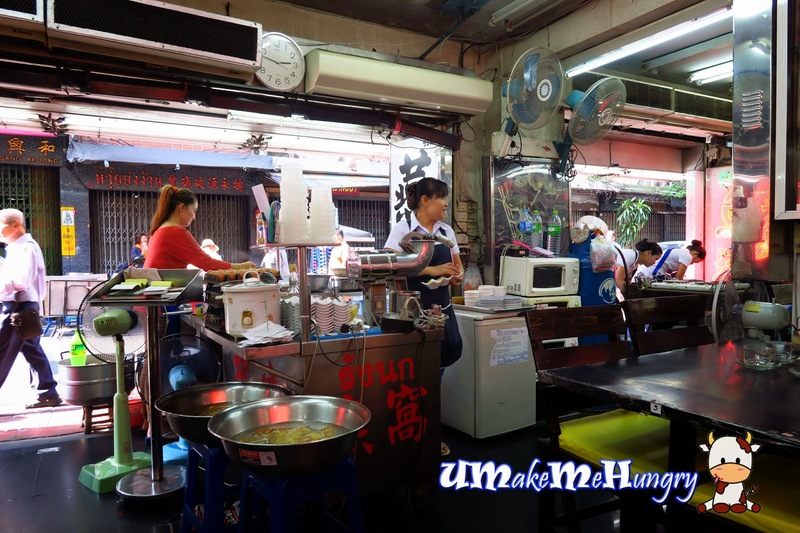 Thailand is really a heaven to enjoy Bird Nest at an affordable price! Interior was airy with constant wind blowing from the electrical fans. 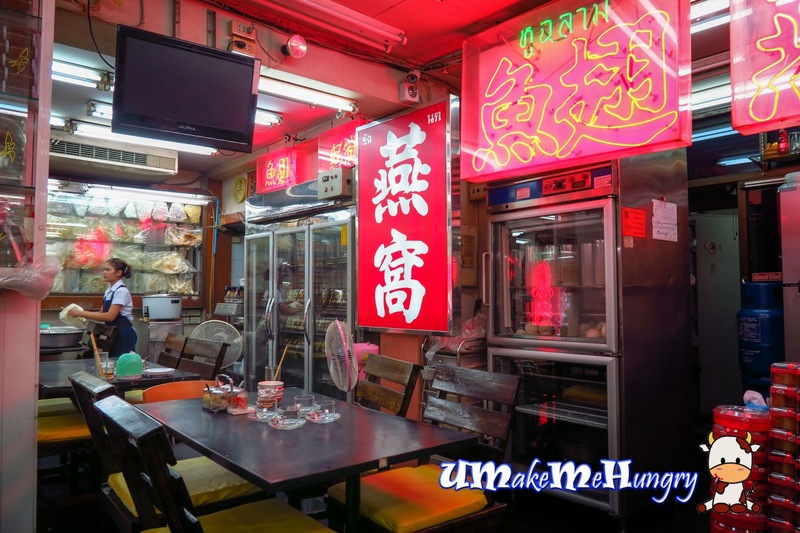 Surroundings were comfortable and you can see that boxes of Shark Fins as well as Bird Nest is placed around the shop and even in its glass cabinets. It was really a good place to shelter us from the scotching hot sun. The complementary drink had a subtle sweetness with a familiar taste - I could not recall what is that but definitely good for before having the mains or even after having. 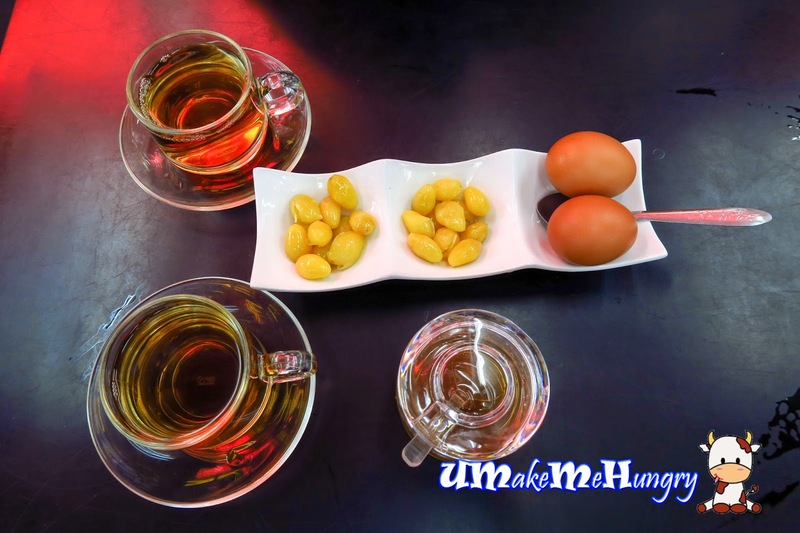 They were quick to serve and soon after we had settled down, drinks, honey, gingko nuts as well as eggs were placed on the table.The honey was for the complementary drink while the gingko as well as eggs were meant for our Bird's Nest dishes. 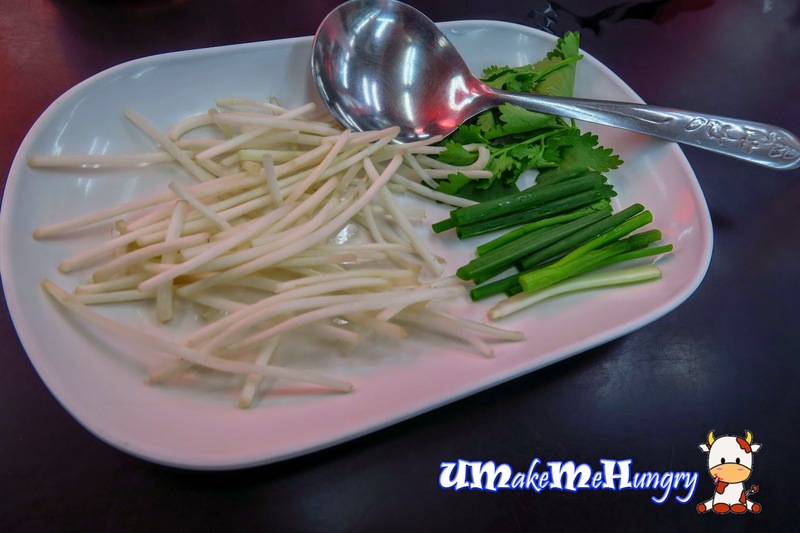 Garnishing for Shark's Fin soup like cut beansprouts, coriander leaves and spring onions were placed on a separate plate. 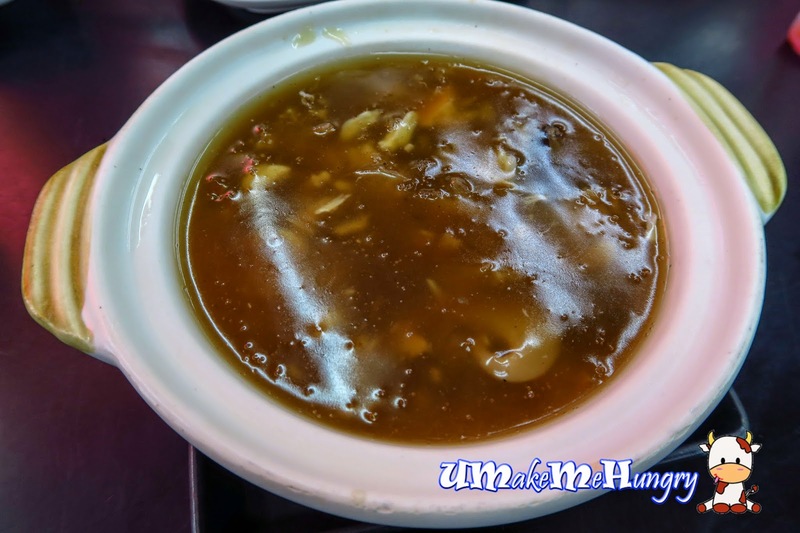 Shark Fin Soup was served warm in a clean claypot. Its starchy nature excites me further in digging my spoon down in the broth. Ta-Da! Ingredients revealed! Mushrooms as well as some meats was added to the shark fin! 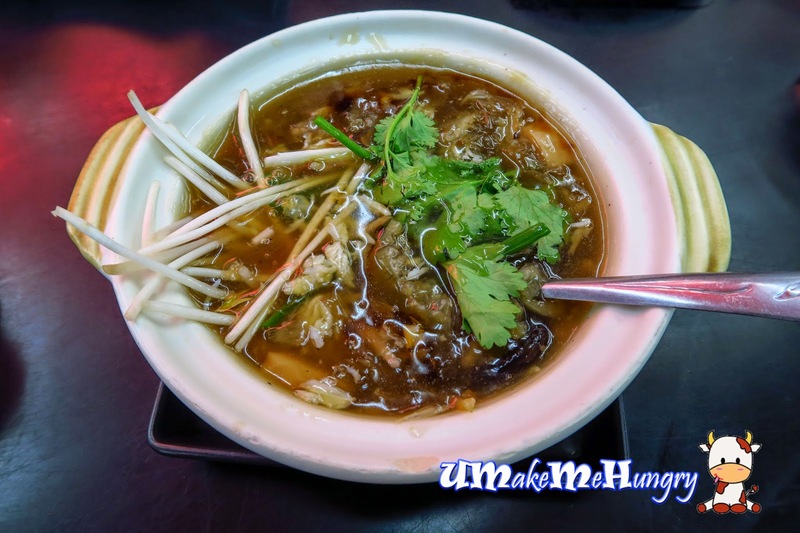 Added vinegar, beansprouts and coriander leaves to enhance the taste! 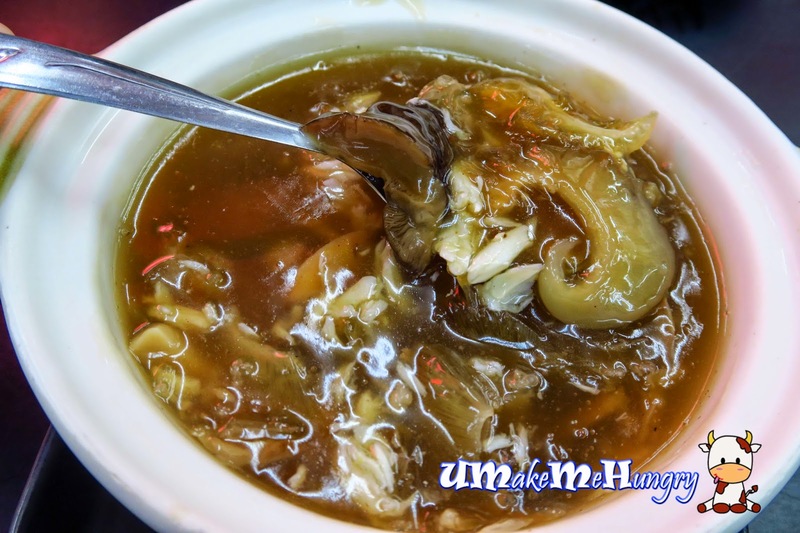 The bowl of warm bird nest is heavenly. 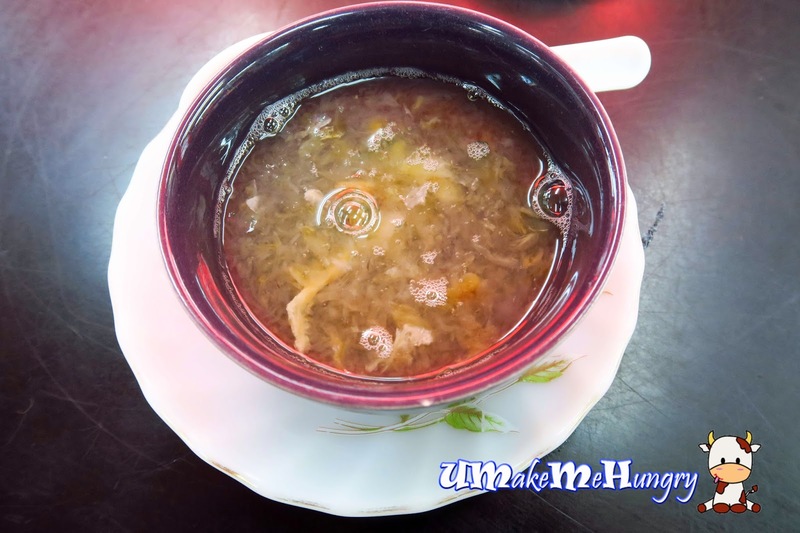 If you enjoy bird nest like I do, I bet you will like this too! 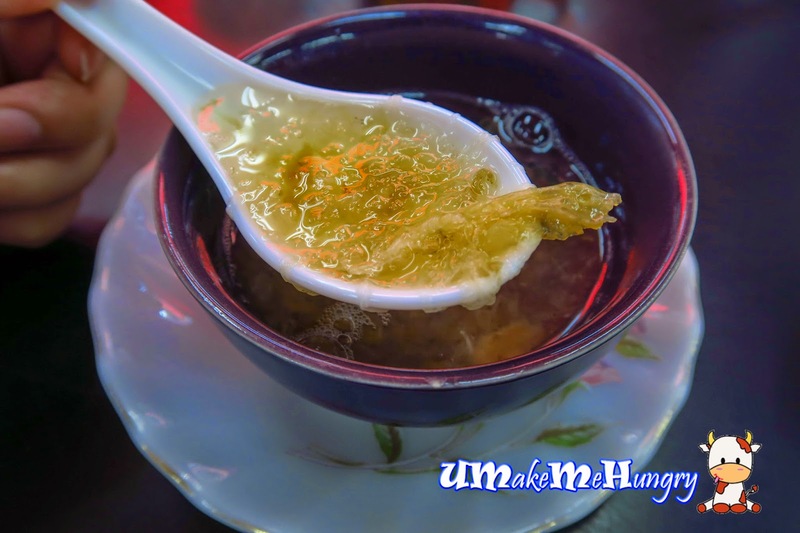 Enjoy the bowl of slimy bird nest soup. The taste of the soup was not too sweet and quite soothing to the system. 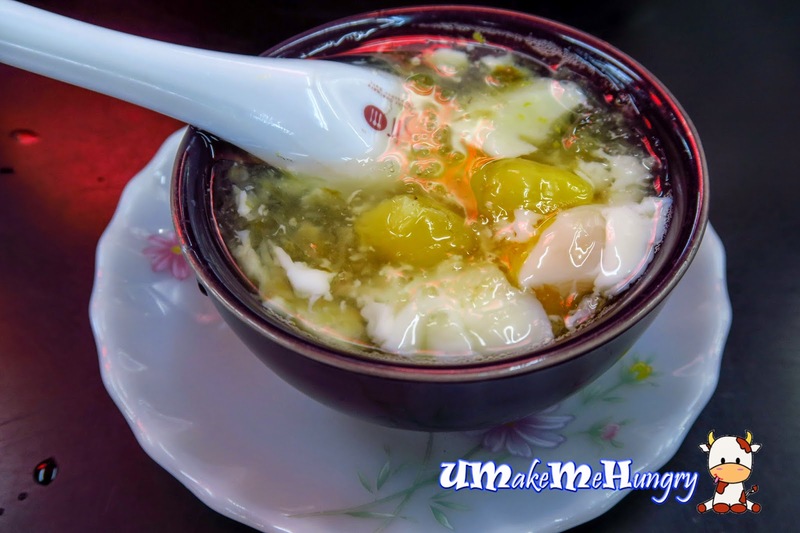 While I enjoyed the basic taste with birdnest alone, he enjoyed the bowl of tonic in its fullest taste added with both gingko and half boiled egg. 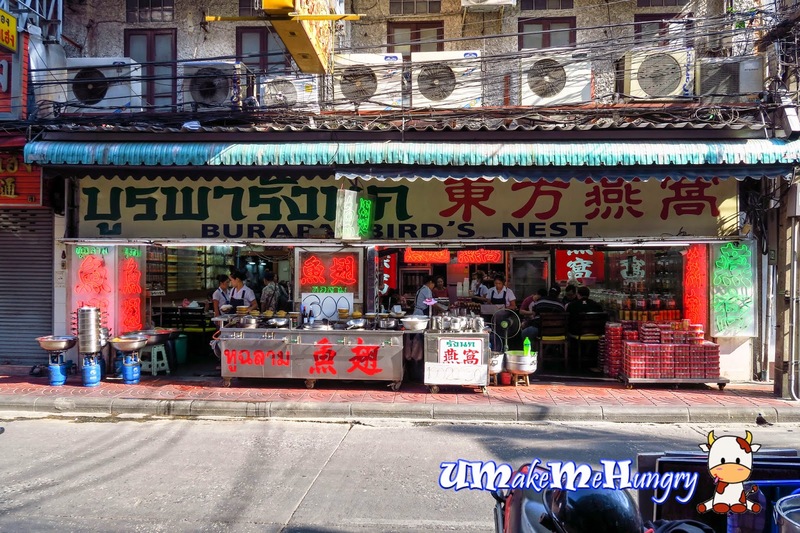 With Bird nest and Shark Fin being so popular in Thailand and their attractive pricing. It's hard not to visit them again.